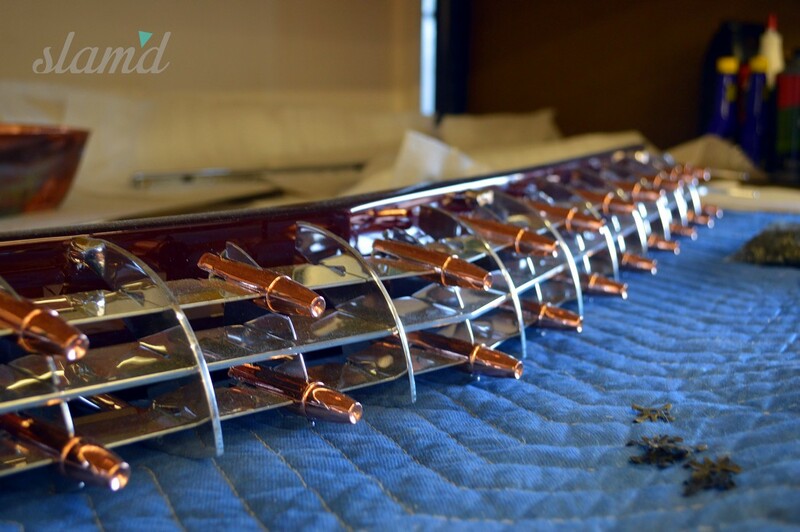 SEMA 2015 is just days away and while more and more builders are keeping their show builds under wraps this year, we’ve pulled together a quick “hit list” so-to-say of some of the builds we’ll be covering throughout the week and a good mix of Slam’d builds that you should be on the lookout for at this year’s SEMA Show. Of course, these aren’t the only builds that we’ll be covering, but you’ll just have to keep your eyes peeled for some of fantastic creations that we’ve gotten word of at our exclusive LIVE coverage from the SEMA Show floor! 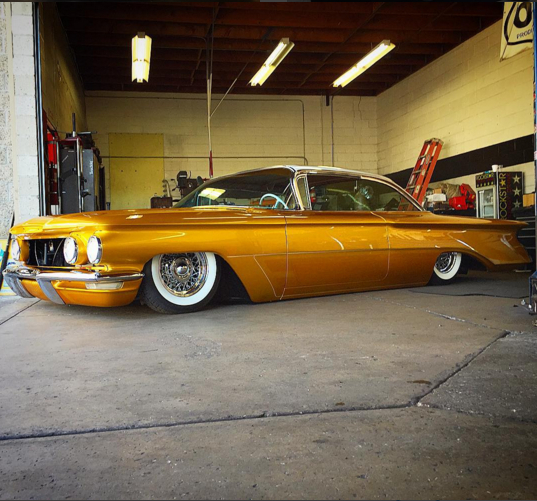 SoCal Suspension: Known for their incredible array of both Slam’d and Lift’d builds, SoCal Suspension is pulling out all the stops for this year’s SEMA Show in the form of this gorgeous 1960 Oldsmobile 98. For a few months now, the suspension kings at SoCal have been teasing the build on their social media platforms, showing off renderings and a few “teaser shots” of the build as progress is made. 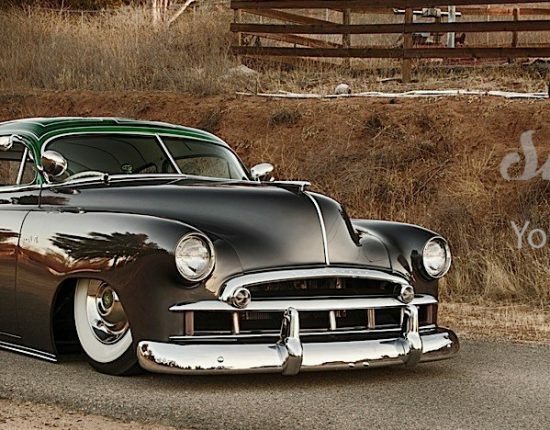 Mixing a bit of “kustom” with classic, this Olds build features a full suspension overhaul (including components from AccuAir and Viair), custom paint and body work by Davey Autobody and a custom interior by Lindy’s Upholstery. Definitely one we’ve got our eye on, and with companies like Universal Air, Truespoke Wheels and Meguiar’s backing it, we can’t wait to see all of the little details in person. Kindig-It Designs (Spoiler Alert! 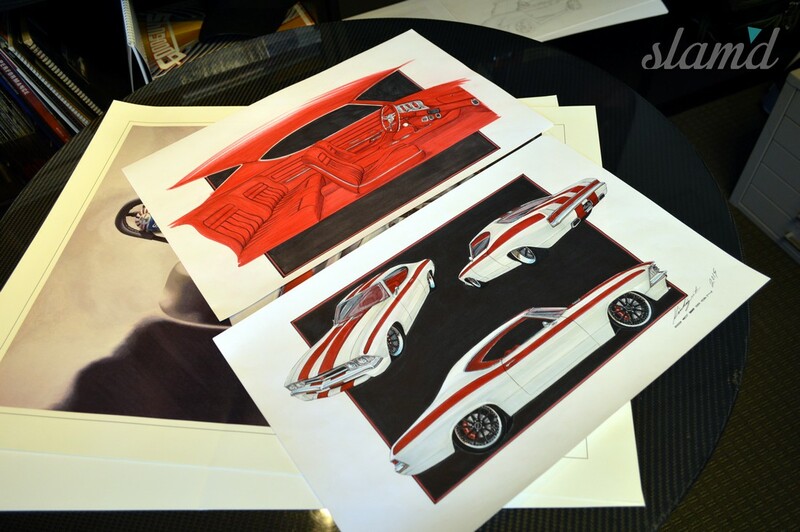 ): Dave Kindig and his crew at Kindig-It Design have been working hard on their SEMA Show cars for months now, starting with the famous renderings done by Dave himself, followed by the planning and execution of each build. 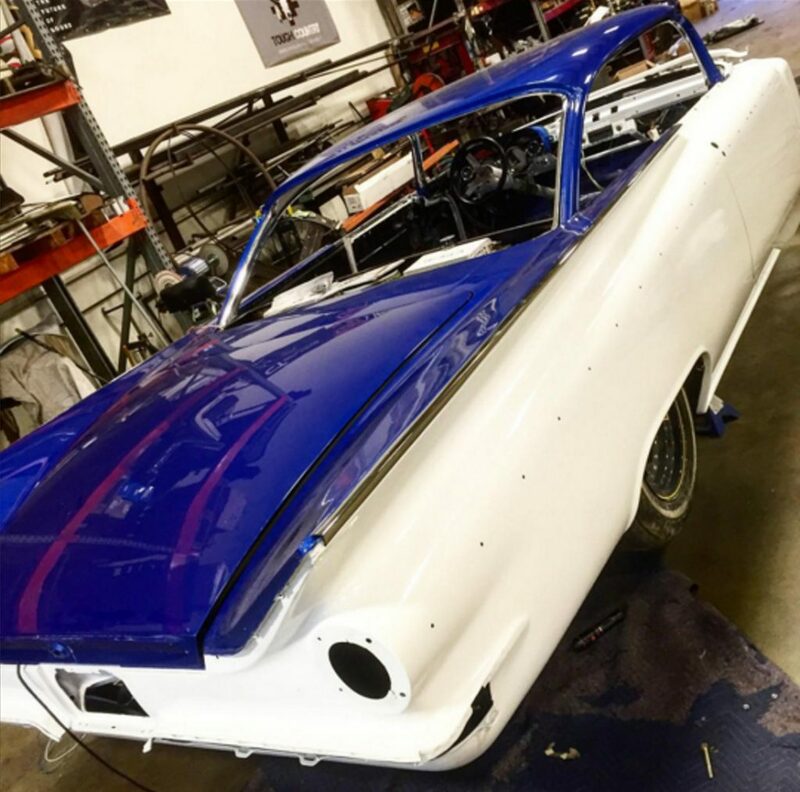 Just a couple weeks ago, we had the honor of touring Dave’s facility to get a sneak peek at some of the builds you will see from the company on the SEMA Show floor. We aren’t going to give too much away here, but we will say that there is a certain classic Chevelle in the works that will be in a special “Beauty and the Beast” type display in conjunction with MSD Performance, as well as one of the most gorgeous builds we’ve ever seen come out of the Kindig-It garage (and that’s saying a lot), dubbed the “Copper Caddy.” Though we’ve seen these vehicles in the build phase first hand, we’ve been sworn to secrecy and promised to keep the builds under wraps until their debut. But rest assured, we’ll have full coverage of these bad boys and more LIVE from the SEMA Show floor and you won’t be disappointed with what’s to come! 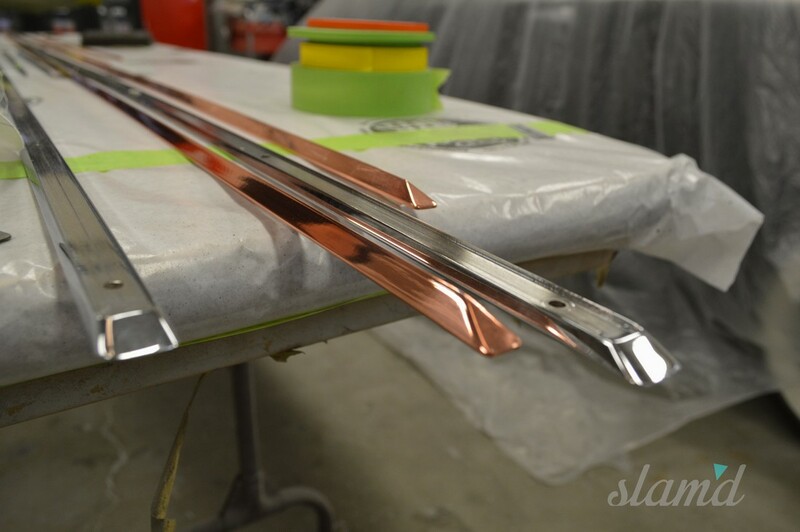 Ekstensive Metal Works: If incredible custom body and suspension work is what you’re after this year, then Ektensive Metal Works‘ SEMA Show build should be right up your alley. 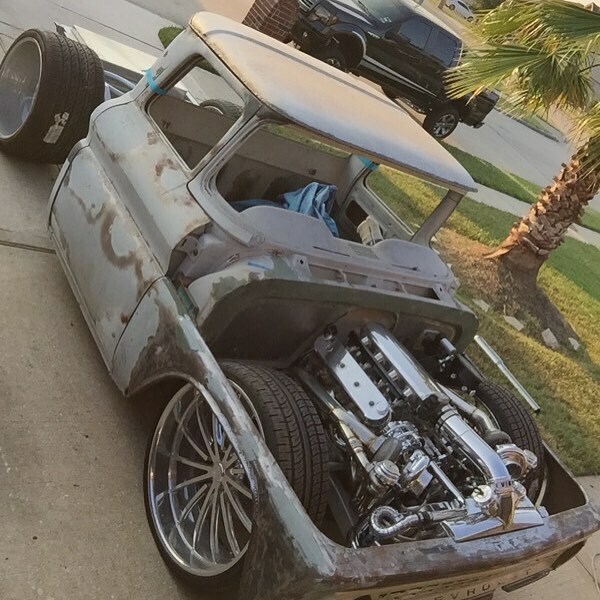 The build has been aptly named “Hard Times” and is a classic 1963 Chevy C-10 pickup that’s incredibly low, modded to the nines, and tons of tricks that the Ekstensive crew has become well known for over the years. 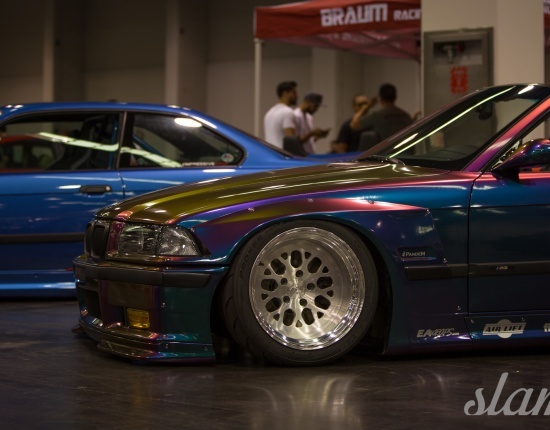 Set to be featured in booth 61020, Hard Times features suspension components from Air Lift Performance, a twin-turbo 6.2L LS engine, JW Performance transmission, Wilwood brakes, US Mags, and paint from Pristine Custom Paint. Ekstensive is also working on a modern GMC “Yukon conversion” pickup in conjunction with Garage Werks. 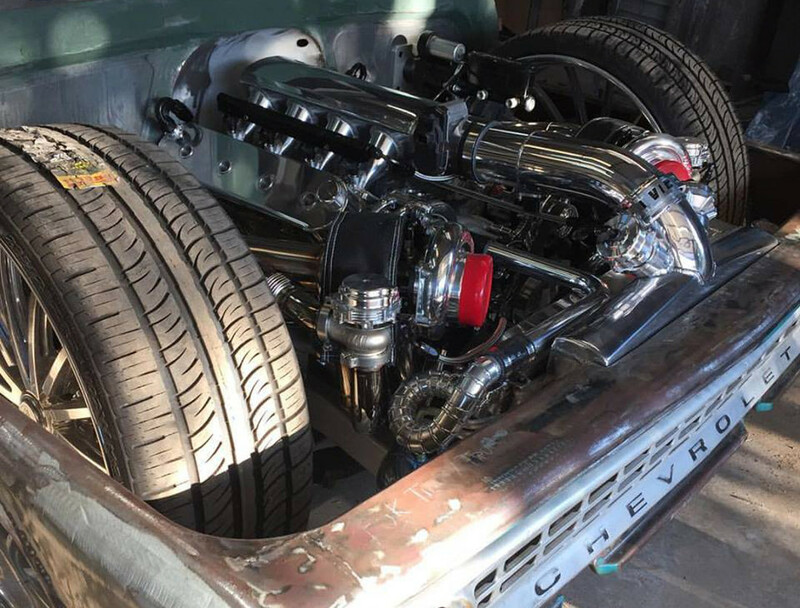 This build was treated to a full body-drop and the Yukon conversion from Ekstensive, interior, audio and performance work from Garage Werks, and paint and body work from Vastine’s Paint Garage. And if muscle cars are more your style, Ekstensive is also working on a sick 1969 Camaro set to debut as well – stay tuned for more! Sadistic Iron Werks: King of all things low, Slam’d Mag’s very own “tech center” – Sadistic Iron Werks – will have a number of incredible examples of their custom air suspension work on the show floor this year, including a Slam’d Audi R8 built for the Viair Booth, a wide body BMW M3 and a sleek Nissan GTR set to debut in the Rotiform booth. 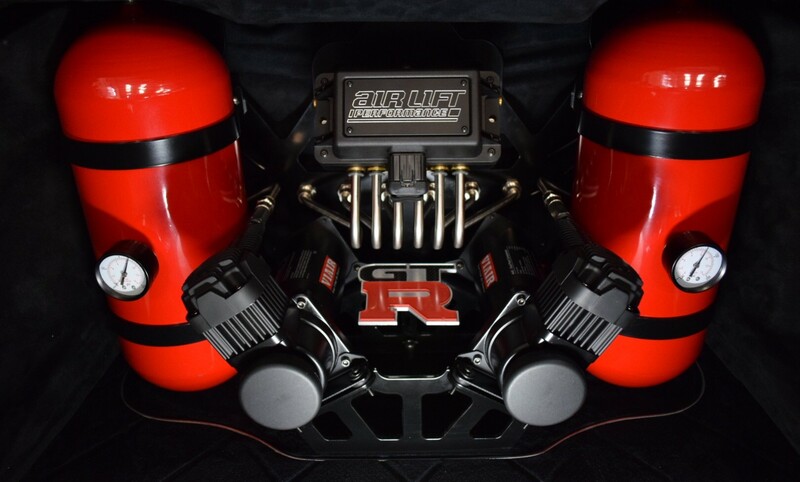 The R8 will be highlighted in the Viair booth fittingly equipped with dual Viair 444C compressors, and a 24-inch seamless air tank, along with a whole slew of other upgrades from Specialty Suspension. The M3 will feature 17×12-inch Rotiform wheels, as well as a Viair/Specialty Suspension/Air Lift Performance setup, with custom Sadistic details of course. Last, but certainly not least, the GTR, features the new hotness from Air Lift Performance, Specialty Suspension, Viair, and Rotiform and is sure to impress even the domestic car fans. 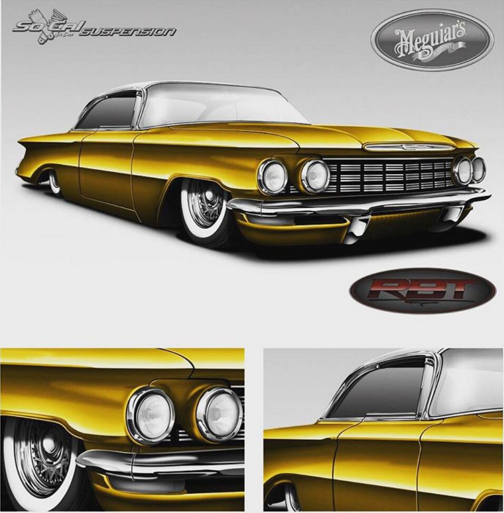 Devious Customs: Coming in hot from Riverside, California, Devious Customs will be debuting their incredible 1959 Buick at the SEMA Show. With months of late nights into this build and features like Colorado Custom wheels, Continental tires, a massaged LS engine wired with Painless Performance wiring and fitted with Pro Performance components, a sound system from CT Sounds and Audiotistics, Kinetik battery and Dakota Digital gauges, as well as all the custom work done by Devious, this one is sure to impress! 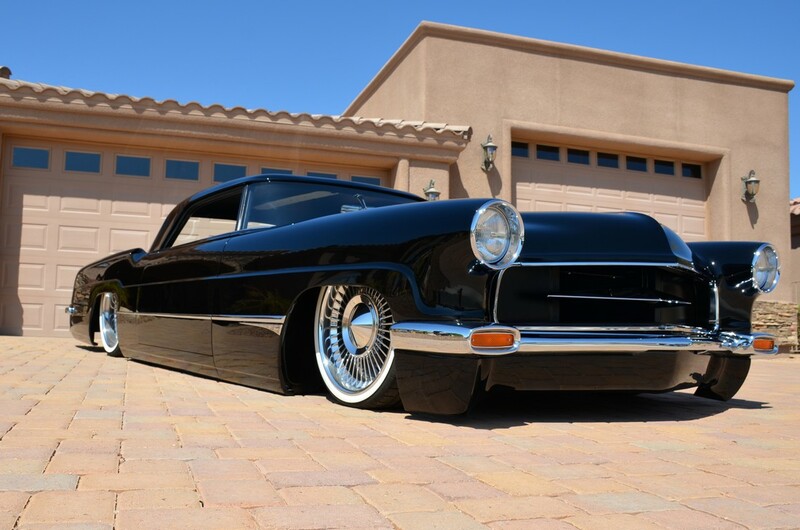 Devious will also be debuting a Lincoln Continental, featuring Fusion Bumpers products as well as Continental Tires, and a few custom touches to get her closer to Mother Earth – just where we like it! Be sure to hit the Continental Tire booth to catch a glimpse of these fine pieces of automotive artwork. 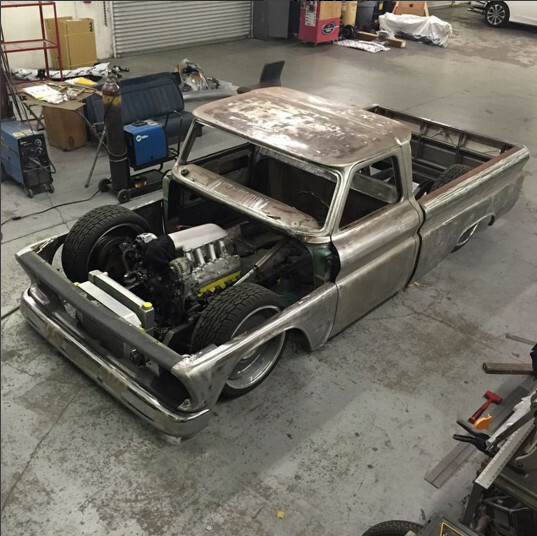 Freeman Fabrication: Bringing out another impressive Chevy C-10 pickup is Freeman Fabrication. Built by the owner himself as a personal rolling billboard of his talents – Josh Freeman’s 1966 C-10 is equipped with a slew of performance products, including a Vortech supercharger, Holley EFI setup, Viair compressors, Baer Brakes, US Mags wheels, and Falken tires. 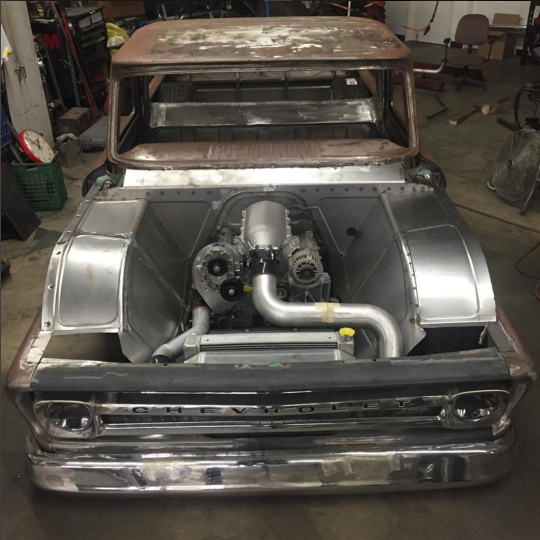 Set to be one of the sickest C-10s at the show (and we know that’s saying a lot since there will be a ton this year), we can’t wait to point our camera at this bad boy! Optimus Performance: Hailing from the other side of the country, Optimus Performance will be showing what they’re capable of with their impressive one-of-one Liberty Walk Widebody Lamborghini Gallardo. This Italian beast features Rotiform wheels, Toyo tires, and a Fountain Race Engines-massaged powerplant. It also features Liberty Walk’s custom widebody kit, making it the only “world’s only Liberty Walk Widebody Lamborghini Gallardo” at this time. This gorgeous package will be on display in Liberty Walk’s booth on the SEMA Show floor. 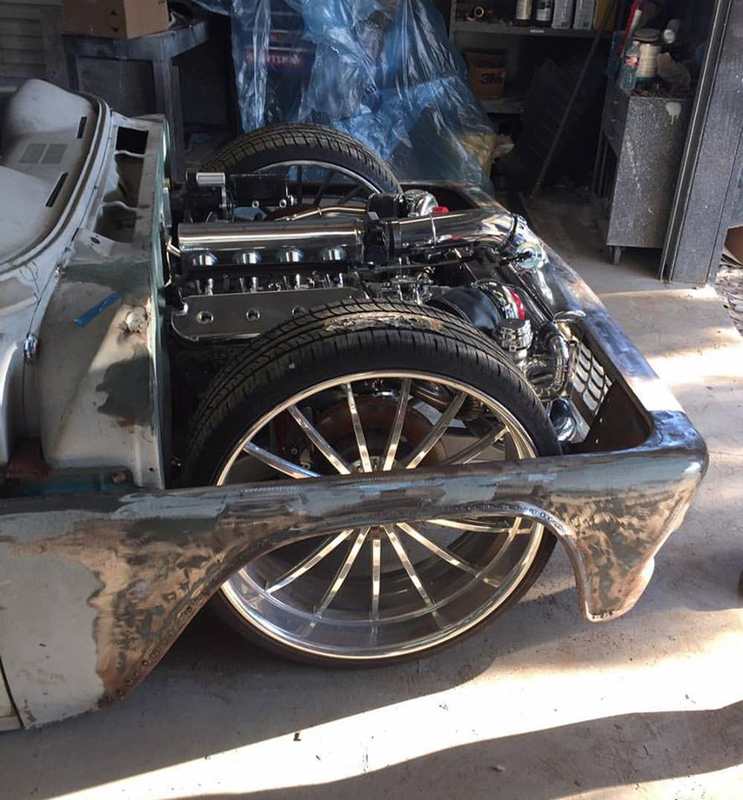 Liberty Walk: Speaking of Liberty Walk, the famed Japan-based custom shop will also be bringing one of their own creations to the 2015 SEMA Show. 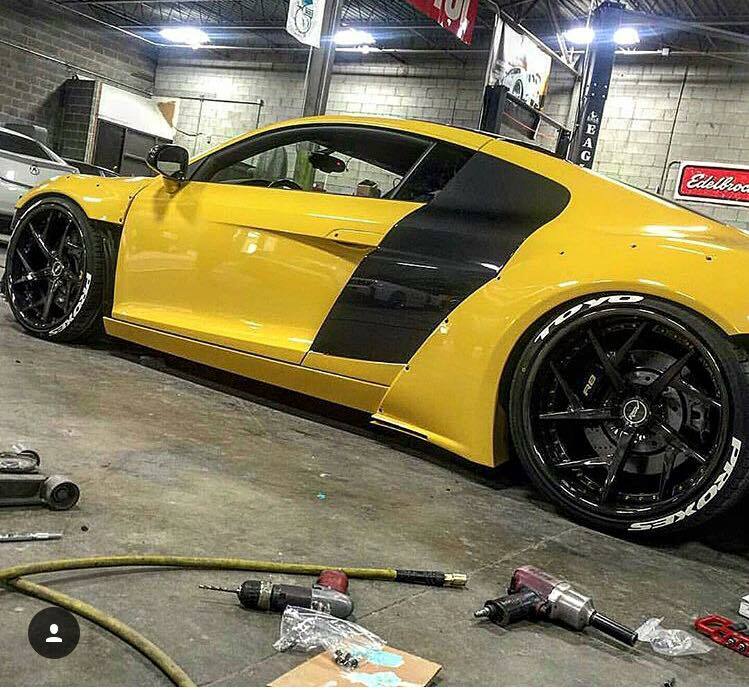 This is the yellow Audi R8 that the company has been teasing on their social media platforms for the last couple of weeks. Set to take the supercar scene by storm, the Liberty Walk R8 features components from DUB, Forgiato, Monster Energy, FI Exhaust and many more. It will also feature the Liberty Walk R8 kit on display at the DUB booth. 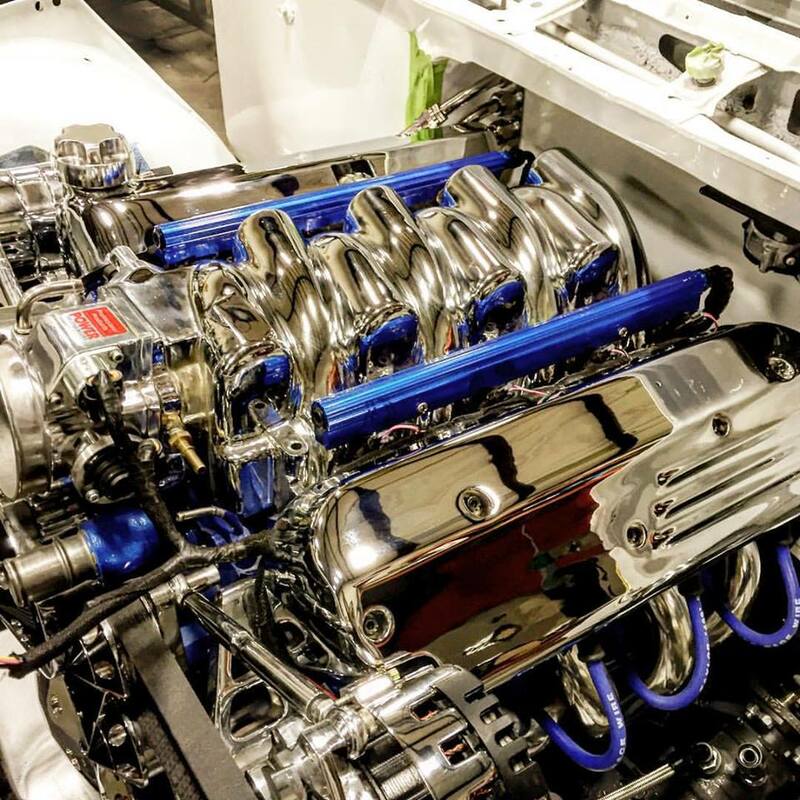 The Block / Retro Designs: If you’re a Chevy or GM fan, chances are you subscribe to The Block for everything Chevy cars and performance related. 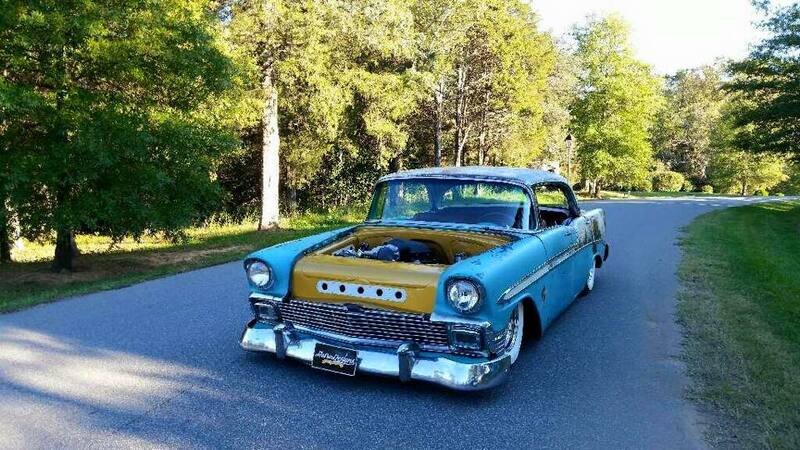 For this year’s SEMA Show, the boosted Chevy Bel Air owned by Andy Williamson has been being covered by The Block and will be making an appearance at this year’s SEMA show. Built by Retro Designs of Charlotte, North Carolina, the 1956 Bel Air is fitted with a GM Performance LS3 V8 topped off with a Vortech supercharger and Borla exhaust, Ridetech suspension system, Relicate Custom Leather / The Custom Stitching Co. interior with Classic Instruments gauges, and rides on classic Coker tires. 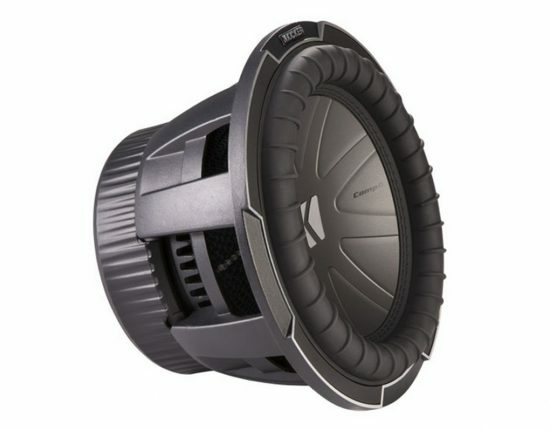 Kicker: An industry leader in automotive audio components, Kicker will have a major presence at the 2015 SEMA Show. 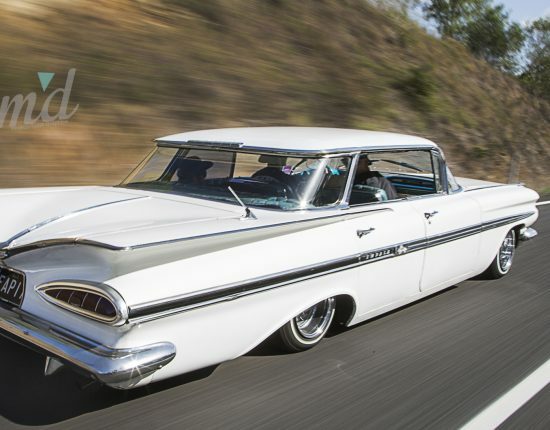 In their booth, the company will feature a plethora of new and innovative audio components, as well as one of the baddest builds of the year, the 2015 Goodguys Custom of the Year award-winning 1956 Continental Mark II (and featured in our 2016 Slam’d Mag Calendar). Built by Sic Chops, the Mark II features a custom Roadster Shop chassis, full C6 Corvette suspension system, Wilwood brakes, Powermaster Performance starter, and one heck of a hefty Jon Kaase 8-stack injected 520ci Ford V-8. Sitting low on Colorado Custom 40-spoke wheels and Michelin Pilot Sport tires, the award-winning Continental will undoubtedly draw crowds. And this is just a sneak peek! 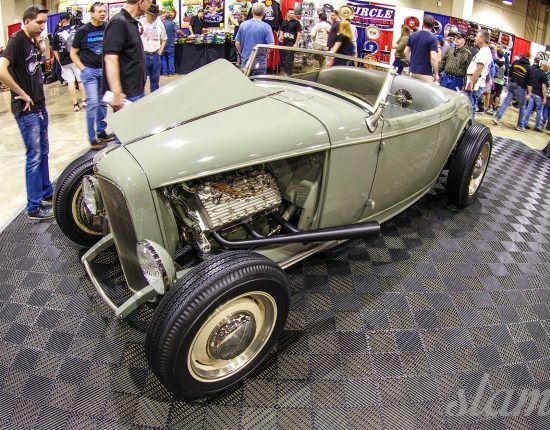 There are plenty of companies we didn’t even touch on that will be bringing their best out to the 2015 SEMA Show (but keeping their debut rides under wraps for the most part), including Air Lift Performance, McGuaghy’s, Rad Rides by Troy and the Roadster Shop. We can’t wait to see all the custom builds that will be hitting the grounds this year and as always, we will bring you LIVE updates from the show floor all week long so check back often RIGHT HERE for the best of the best in all things LOW!